The basalt hill of Givat-Orkha (Tell Juhadar) is a volcanic formation, located near the border with Syria, on the side of road #98 between Ramat Magshimim and Alonei HaBashan. 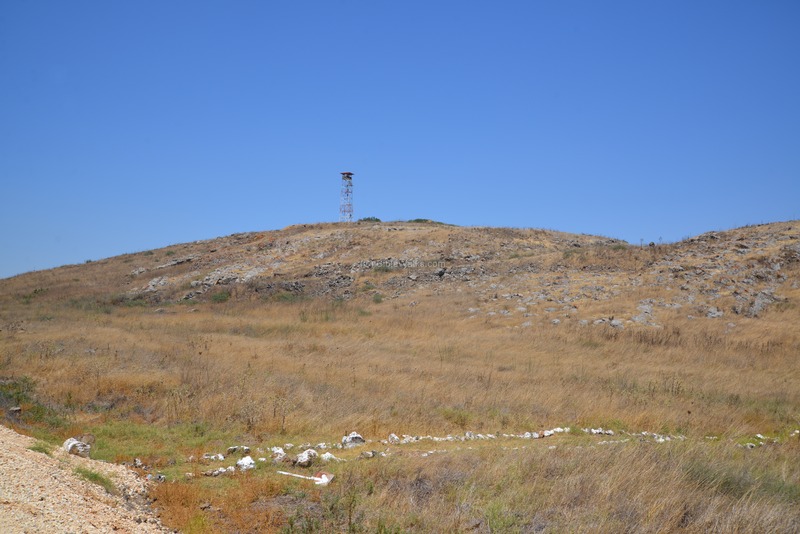 According to the ceramics analysis, the settlement on the hill started on the summit during the Early Bronze II period (3000-2700 BC). 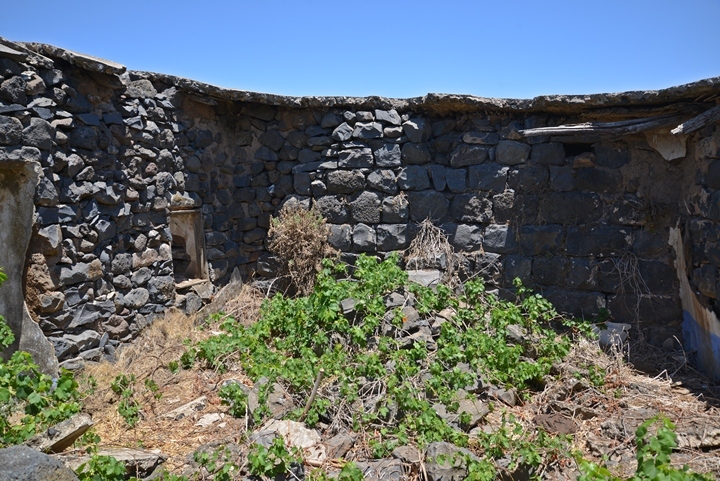 As the summit was damaged by modern construction, few remains could be identified. This settlement existed for some time, but then abandoned for a long period until the Hellenistic period. 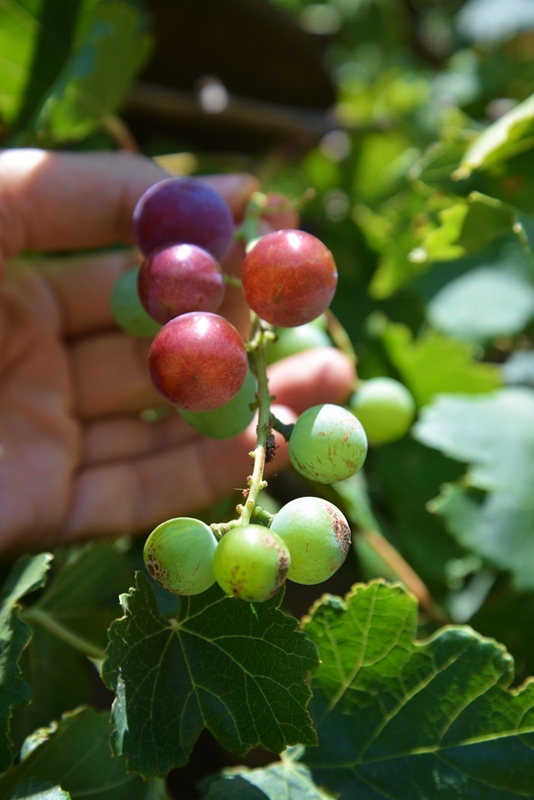 The settlement started from the summit, and expanded during the Roman period to the lower foothills. This was the peak of the settlement on the hill. 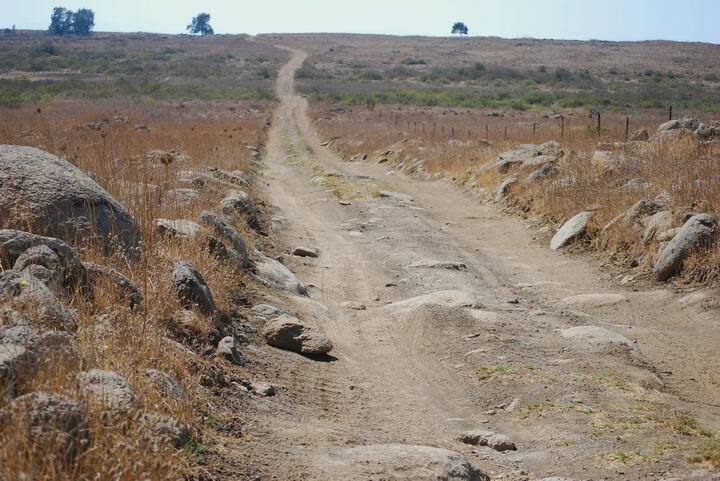 A major Roman road passed to the south of the site, and was one of the reasons why the village was built on the hill. This west-east route was also used in prehistoric times as well and along its path are prehistoric sites. The Romans improved the road, as it was one of the two major roads that connected the Sea of Galilee (and ancient Israel) to the Roman administration center in Syria. 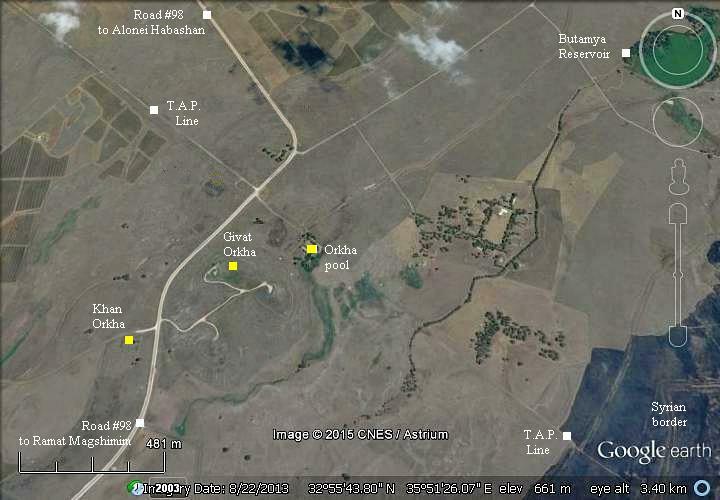 A map of the ancient roads of the Golan is illustrated here. Orkha is marked on the map as a red square. There are two major roads from the Galilee to Damascus, a northern one (through Dan and Caesarea Philippi-Banias) and a southern one (south of Orkha). The Roman village was destroyed at the end of the 4th Century. The reason for the destruction of the village not known, but it may be due to the 363 AD earthquake which hit the region strong. 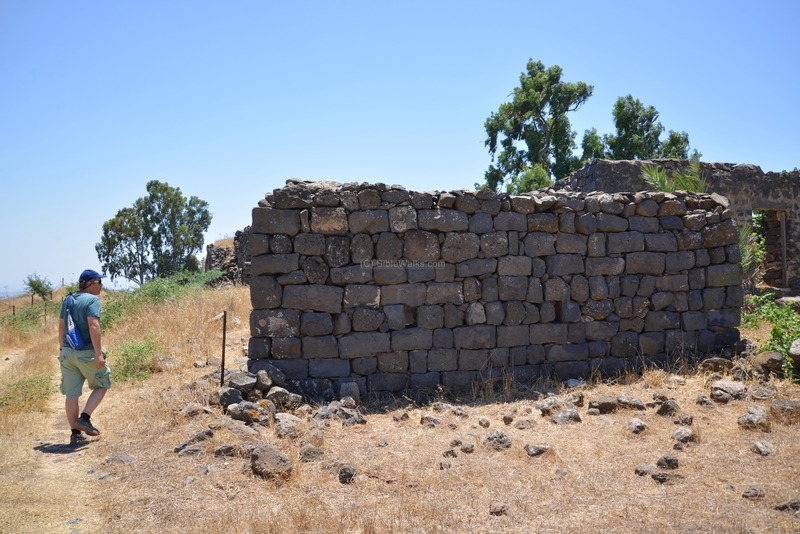 Another possible reason for the destruction was the Jewish revolt against Constantinus Gallus in 351-352, which resulted in destruction of villages and towns in the Galilee and Golan. 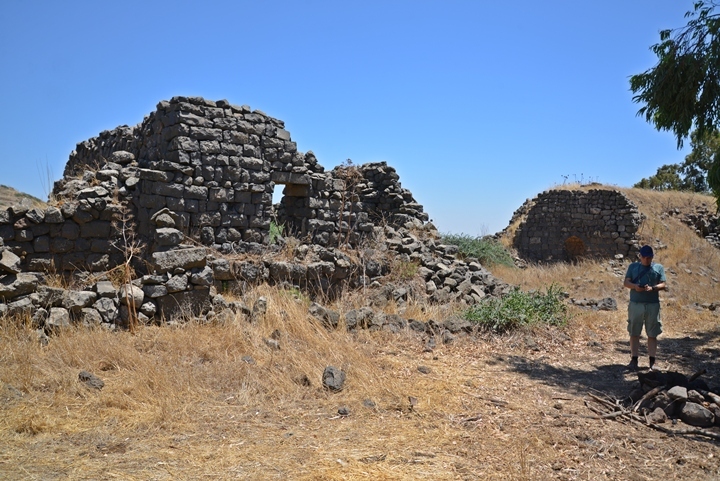 The village was partially rebuilt and continued until the end of the Omayyad period (8th Century). The Mamelukes were Turkish prisoners of the Mongols who were sold to the Sultan of Egypt, trained by him and served as his palace guards. In 1250 they seized the control of Egypt, and defeated the Mongols (1260) and captured the Holy Land. 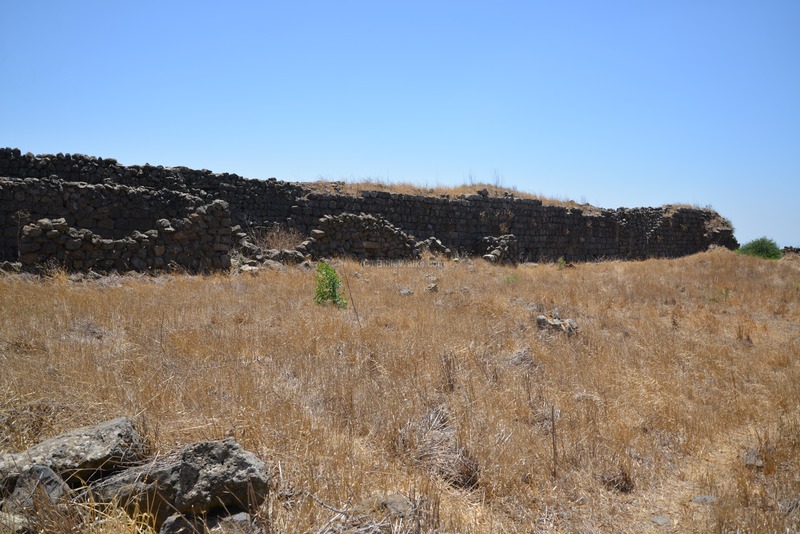 The Mamlukes, headed by Bybars and Bilik, constructed here a fortress in order to protect the southern Golan road to Damascus. Another fortress - Nimrod - was constructed on the northern Golan area. 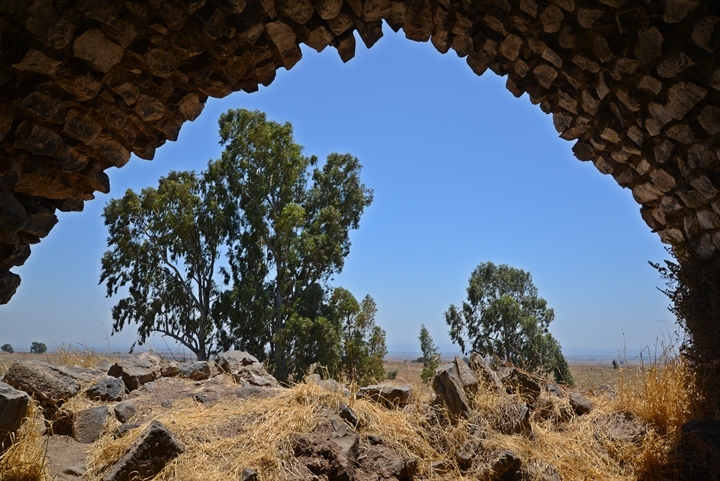 A Khan (inn, caravansary) was constructed in the 14th Century on the west side of the hill. This fortified hostel served the caravan and express mail service route between Cairo, via Tiberias, to Damascus. 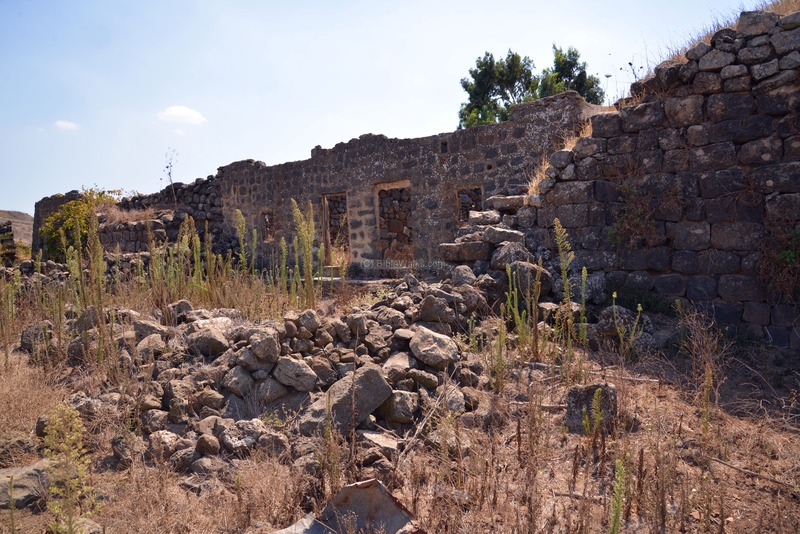 It was built by Bakhtamor al-Jukhandar- the governor of their regional capital of Safed (Zefat). His honorary title was "The holder of polo sticks", or in Arabic: el-Jukhandar, which gave the Arabic name to the site (with some deviation). There were dozens of Khans along the road. Examples of other stations along the road are Qaqun, Jaljulia, Erani, Ramla, and Benjamin's tomb in the Sharon. The inn has a rectangular plan, with an area of 4 Dunam. It is protected by a casemate wall. The Mamelukes continued to rule the entire region until 1517, when they were defeated by the Ottomans from Turkey. Since then the site declined. 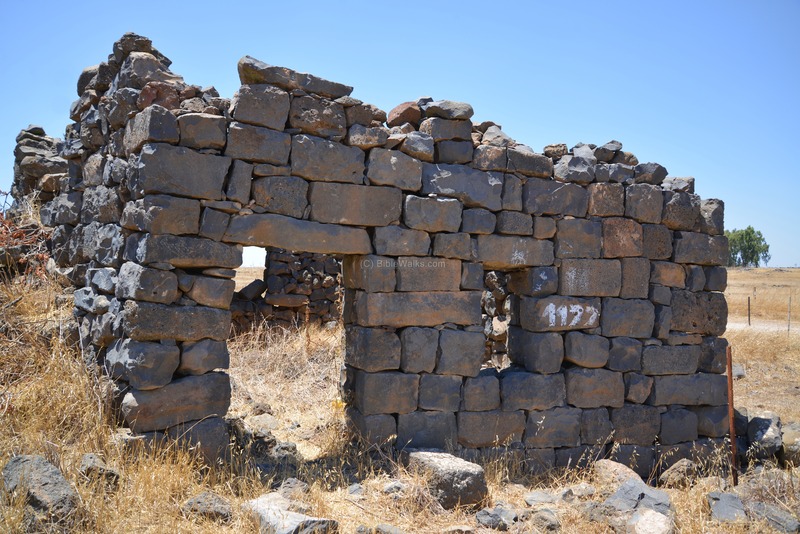 During the 1880s a Bedouin village was established on the hill, reusing the ancient stones to build new houses. 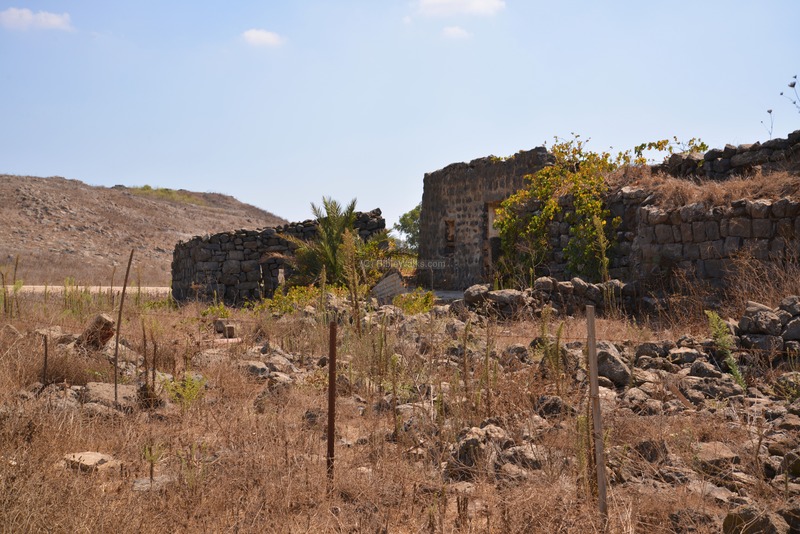 The Syrian village was abandoned in 1967 after the six day war, and destroyed in 1968. 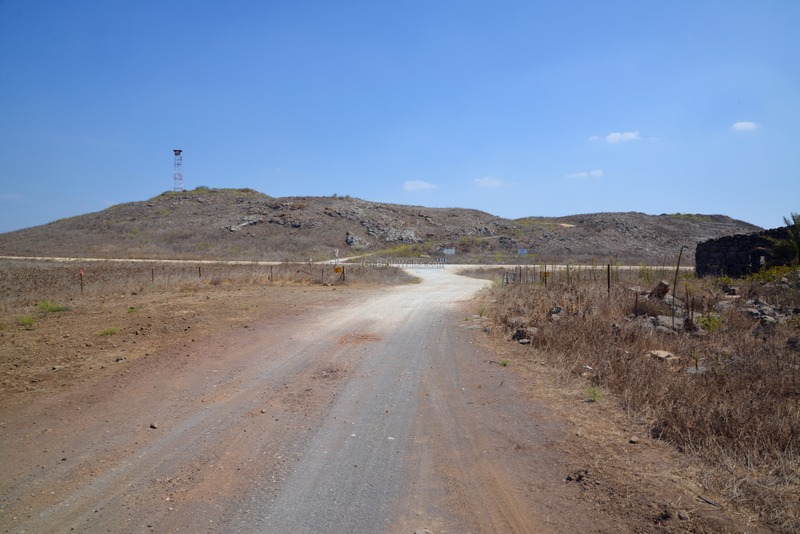 The Israeli Army (IDF) built military posts and an observation tower on the hill, as it faces the Syrian border (3KM to the east). In 1967 the site was surveyed by Shmarya Guttman, and was excavated by Danny Orman (1968-1969). During the war of October 1973, the area was conquered by the Syrian forces of the 5th Division. After a counter attack, the hill was recaptured On October 8 by Yossi Peled's armored brigade 205. The T.A.P. 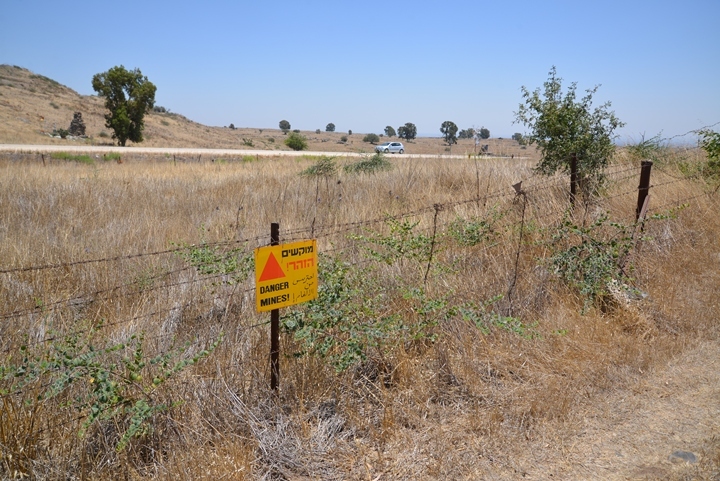 line (Trans-Arabian Pipeline) passes near the site. The pipeline, constructed in 1947-1950, used to convey crude oil from Qaisumah in Saudia to Sidon in Lebanon, thus saving transport costs. At that time this was the largest pipeline in the world - 1,214 kilometers (754 miles). After the 1967 war the pipeline continued to function. However, the section from Jordan to Lebanon ceased operation in 1976 and was totally cut off in 1990. A western view of the site is seen here, with the ruins of the ancient Khan in front, and the Orkha hill in the background. Road #98 runs from left (north) to right (south) between these ruins and the hill. The Mameluke caravansary is located on the west side of the road. The Khan is rectangular in shape, 60m by 67m. It consists of halls surrounding a large central courtyard (43 x 50m). An aerial view of its ruins are seen in the following photo from the north side. The following YouTube video shows a flight of a drone over various sites of the mound. An eastern view of the ruins in seen in the next photo. The gate to the Khan was from this side. The north west wall is seen in the photo below. The construction, dated to the 13th Century, reused some ancient stones that were hauled from the structures on the hill. To visit the ruins, walk through a cattle gate on the north east corner. A trail leads along the east side of the walls, then enters into the courtyard. 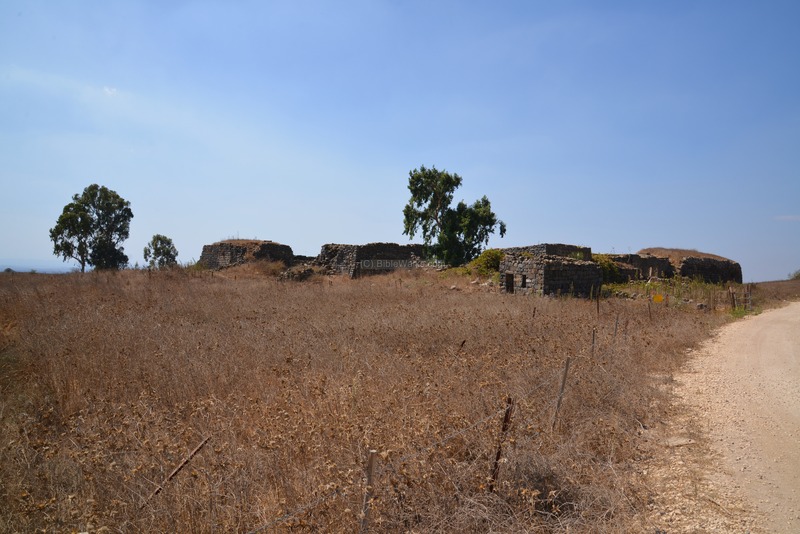 The entire area around the site is fenced off with barbed wire and covered by mines, so take care to walk only in the trail and inside the ruined khan. The north east corner of the Khan is shown in the following photo. 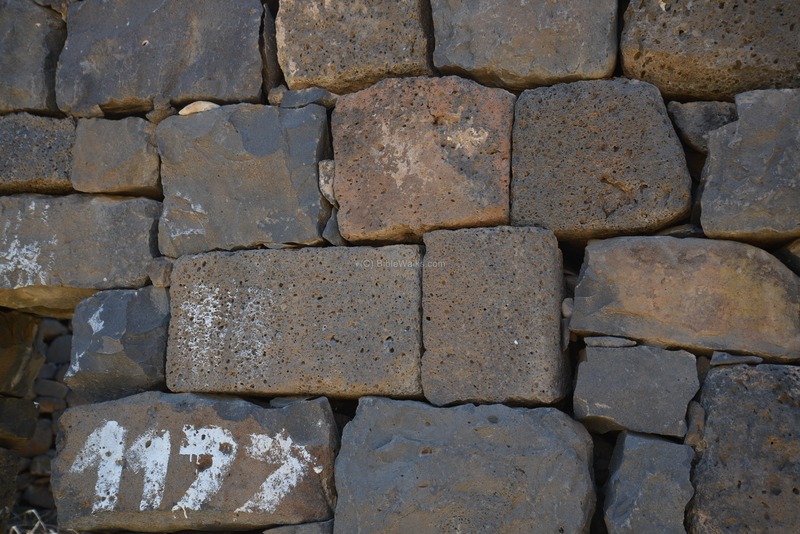 Most of the stones have a crude surface, but there are some clean cut basalt stones (such as the blocks above the white washed number) which were probably reused from earlier structures. The entrance to the Khan was on the east side, in the center of the eastern wall. The gate, seen here from the inner side, was 9.5m wide, leading as a corridor into the courtyard. The corridor is flanked by a room on both sides. The width of the gate area is now wider than the original size, as the three walls of the southern room have been removed. A closer view of the northern gate room is next. 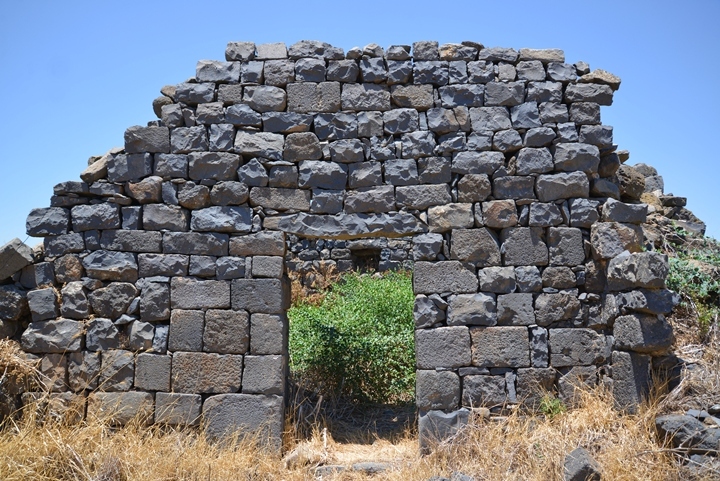 Notice the use of hewn stones on both sides of the door, probably reused from earlier structures. The southern room served for praying. 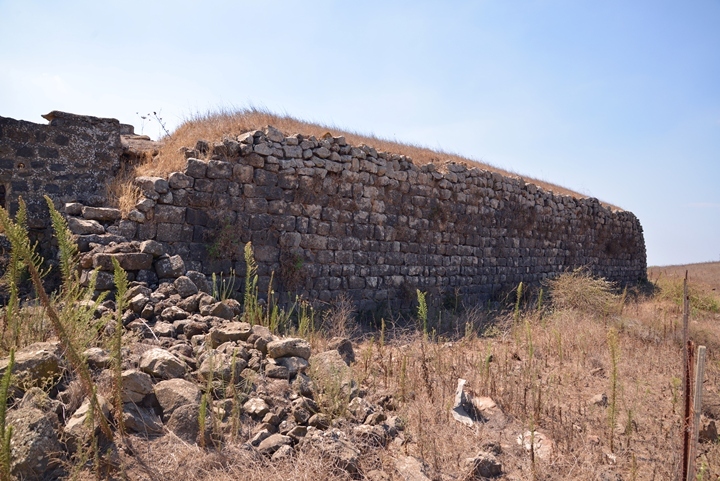 All of its walls were removed, except for the southern wall. Embedded in that wall is mikhrab - a Muslim praying niche. The courtyard is in the center of the ruins, measuring 43m x 50m. On the south side are vaulted halls, as seen here. 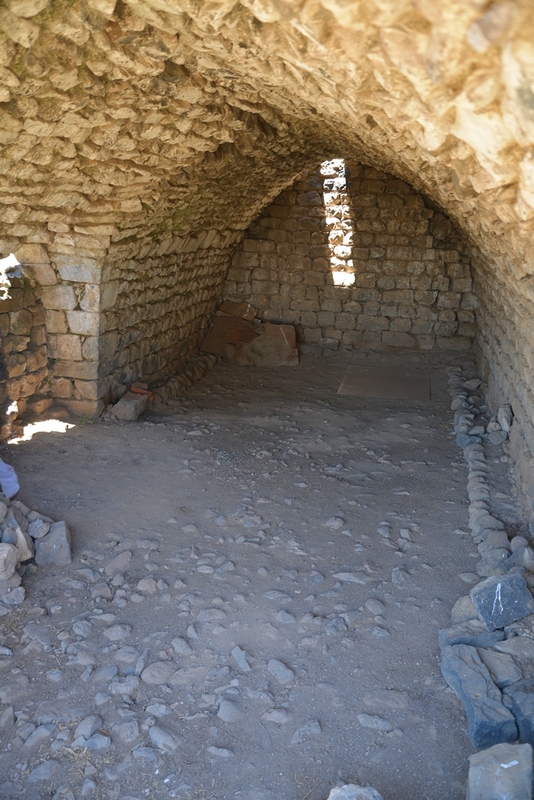 On the northern side of the courtyard are additional rooms. A view inside the north east room is shown in the following photo. 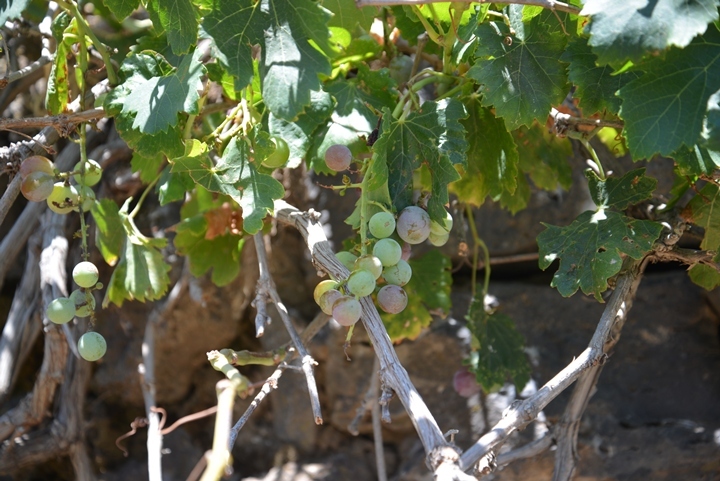 A grape vine spread out along the walls of the room. Where does it get its water? 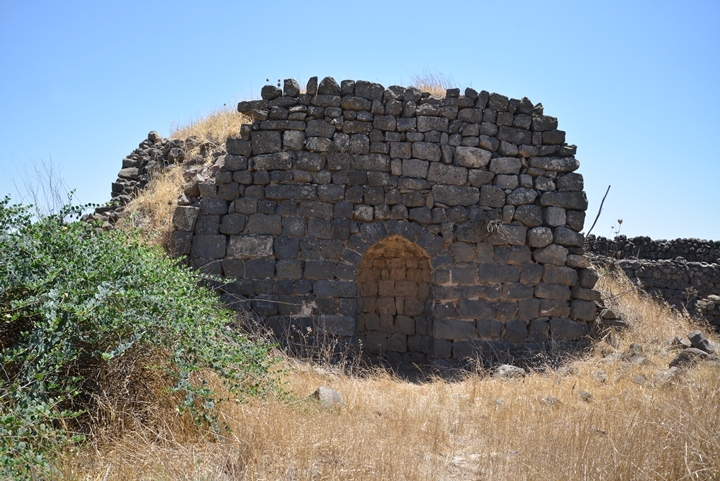 The Golan is very dry during the summer period, so perhaps there is a cistern below the surface. Surrounding the courtyard were long vaulted halls, two on each side of the courtyard. Each hall had a flat roof, supported by arches. A peek to one of the vaulted halls showed that it was recently cleaned, perhaps used for a gathering. 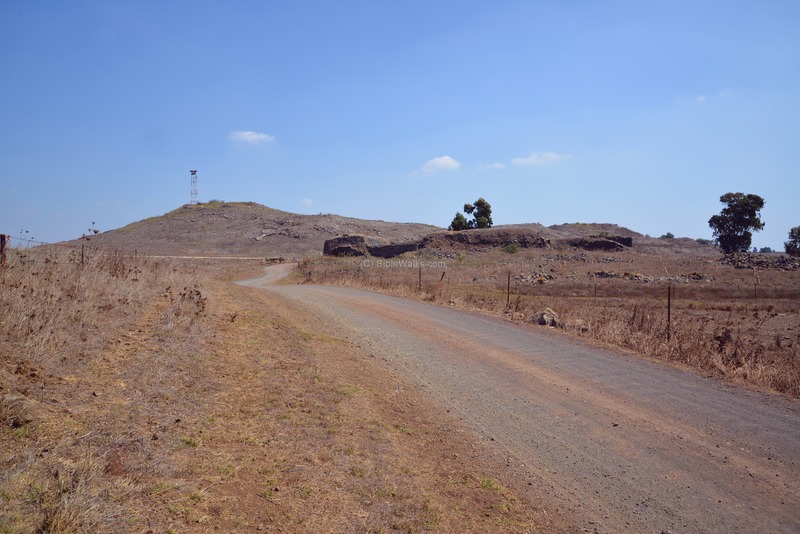 The basalt hill of Tell Jukhadar is located across the road. On the hill are military bunkers and a 30m (100ft) high observation tower. An aerial view of Orkha Hill (Tell Juhadar) is shown here from the south west side. A dirt road ascends up along the south side of the hill, up to the observation tower on its top side. Ruins of structures are scattered on the hill, many of them ancient. The hill has two stepped terraces. On the north west side of the upper terrace are ruins of a fortress. On the north east foothills are large burial caves, some with multiple levels and chambers. On the south foothills are remains of structures. A section of a wall was incorporated into a memorial for Jonathan Joberman who was killed here in the fierce fighting of the 1973 October war with Syria. This wall is the remains of a flour mill. 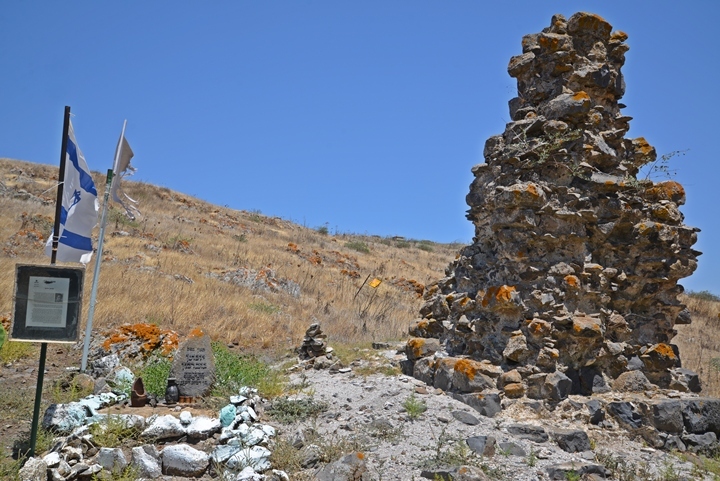 The antiquities on the summit of the hill were damaged by modern construction. 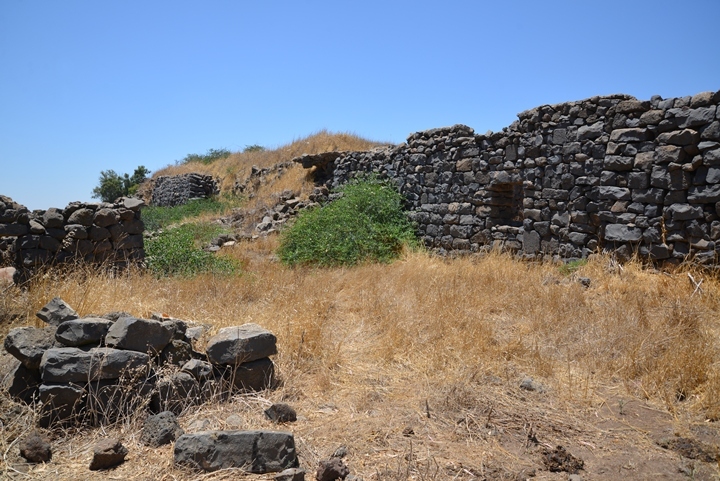 According to the ceramics analysis, the settlement on the hill started on the summit during the Early Bronze II period (~30th Century BC). 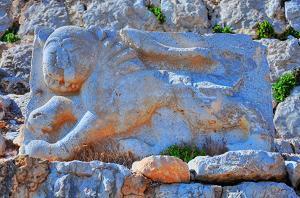 After some time it was abandoned, and renewed only during the Hellenistic period (~3rd Century BC). The peak of the settlement was in the late Roman period (4th Century AD), when it expanded to the lower terrace. At the end of the Umayyad period (8th Century AD) the settlement was abandoned, and renewed in the Mamluke period (13-14th Century). Late Roman period (5th-6th Century) - the major period of settlement, which was destroyed at the end of the 4th Century. A pool is located on the north side of the hill, hidden among a group of Eucalyptus trees. The pool, 2m x 3m wide and 1.5m deep, receives water from the spring of Orkha. Originally the pool was constructed and served the Syrian officers. It was cleaned and renewed as a memorial park for Raziel Nagar, a 19 year old youth from Ramat Magshimim, who was killed in 2005 while hiking in a military zone in the Golan from a dud artillery shell.